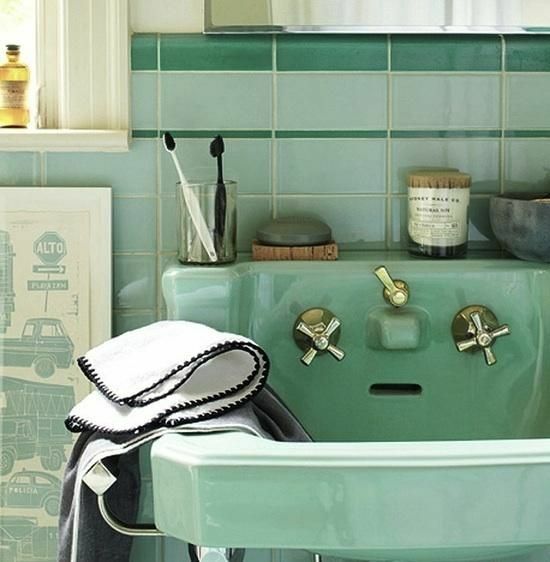 Mint is one of the most beautiful shades of green in the palette. 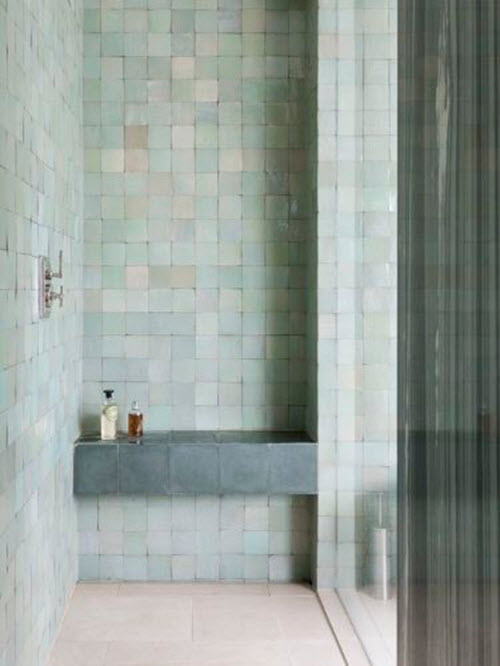 And despite its paleness, it looks gorgeous in the bathroom interior in the form of tile. 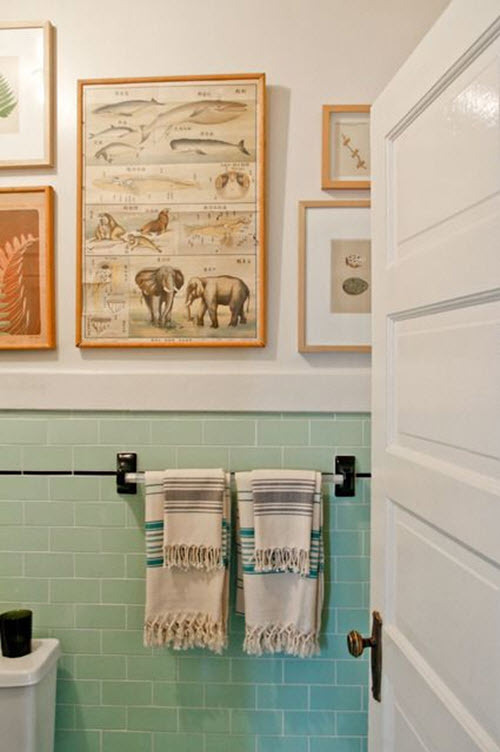 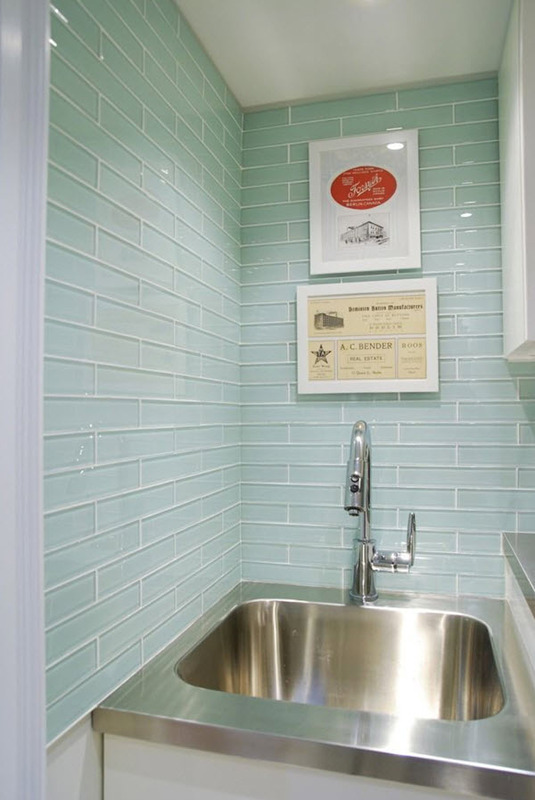 Mint green is pale enough to help you emphasize other details and decor items in the room. 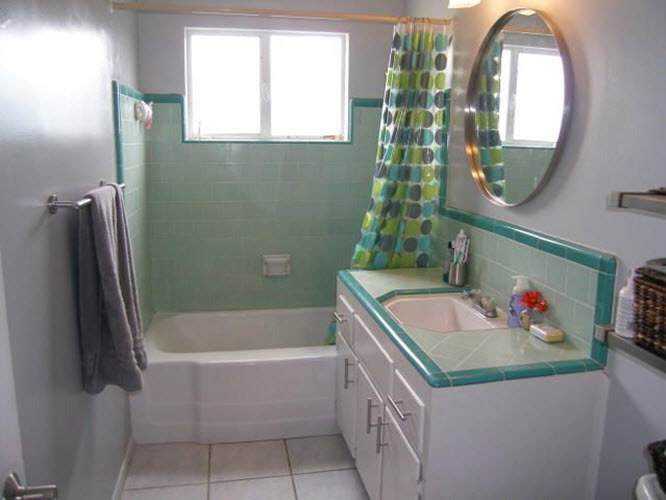 However it is rich enough to be the main color on the walls and floor of your bathroom. 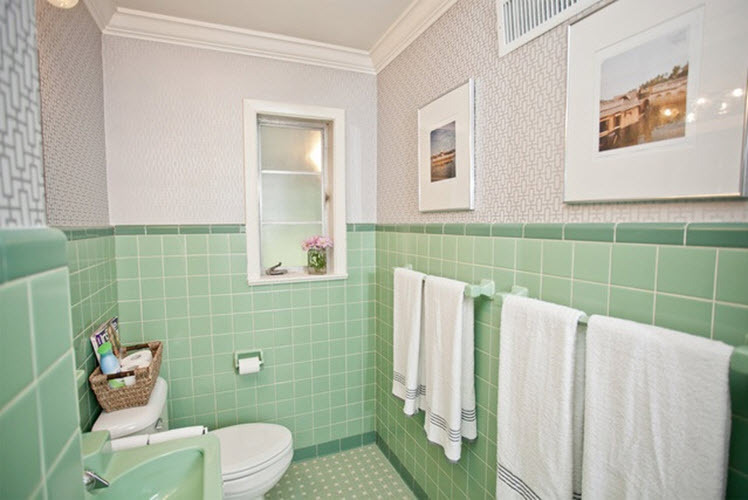 It looks especially wonderful in combination with other shades of green as well as the contrast to white or black. 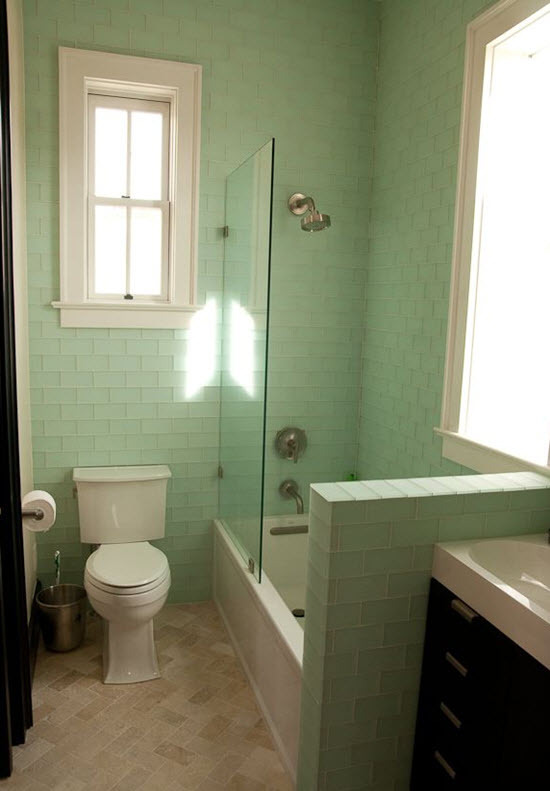 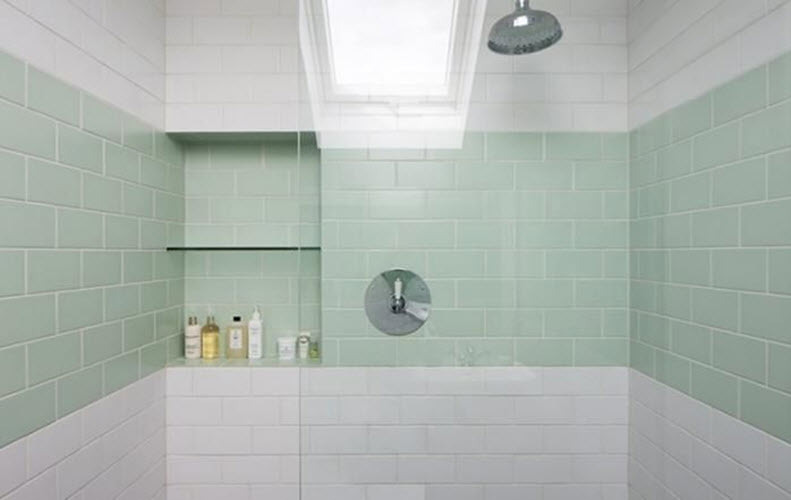 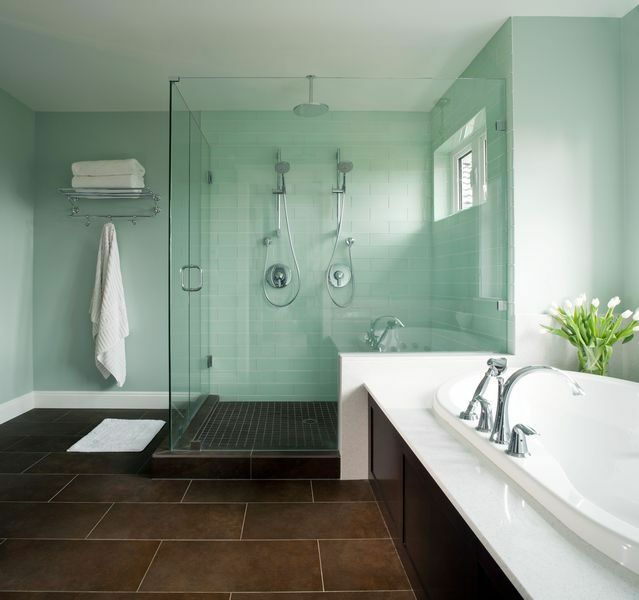 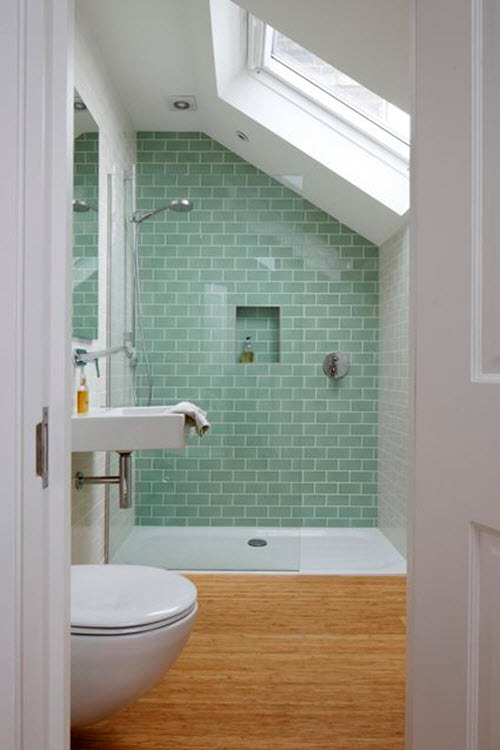 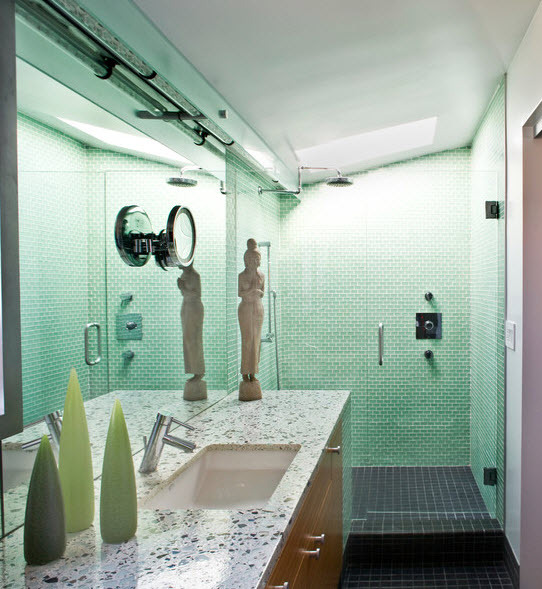 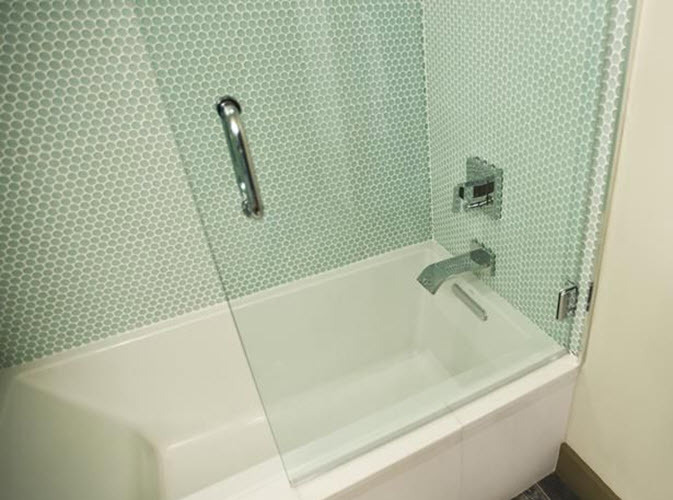 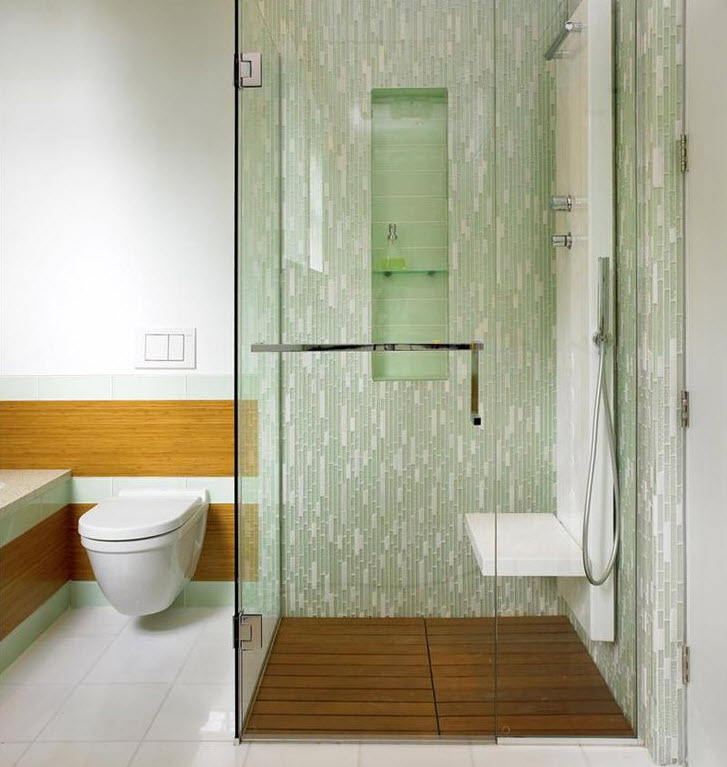 Mint green bathroom tile comes in many shapes and sizes giving you a wide range of options to choose from. 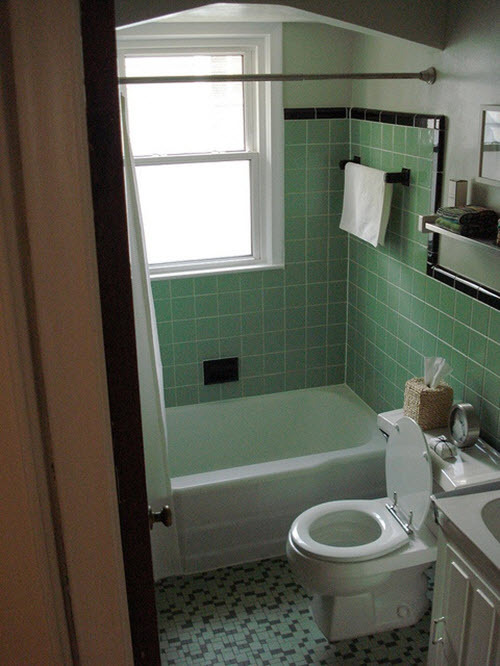 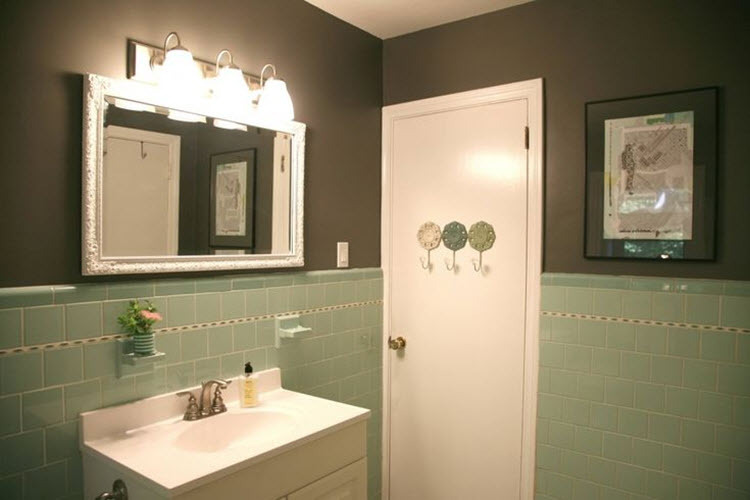 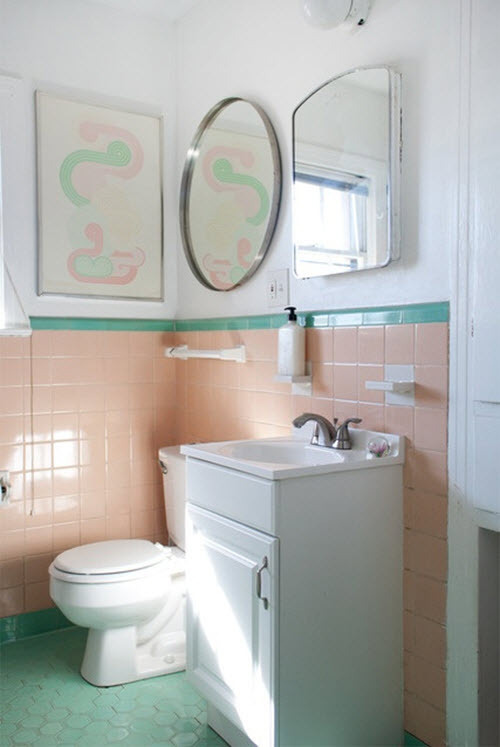 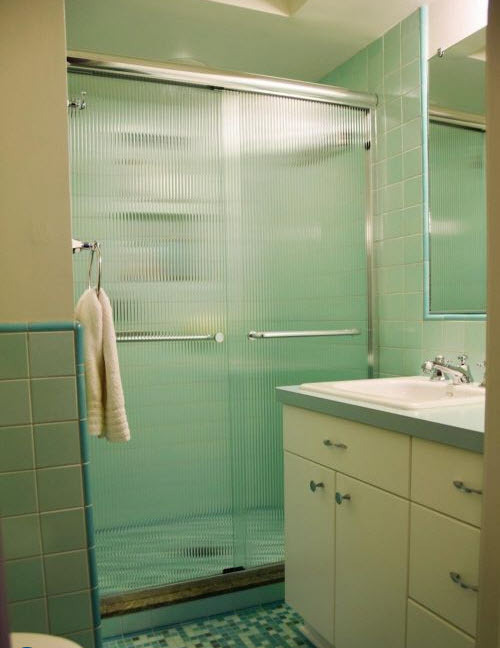 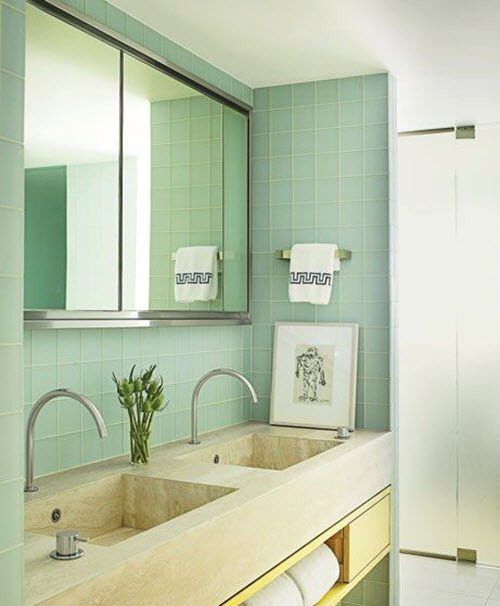 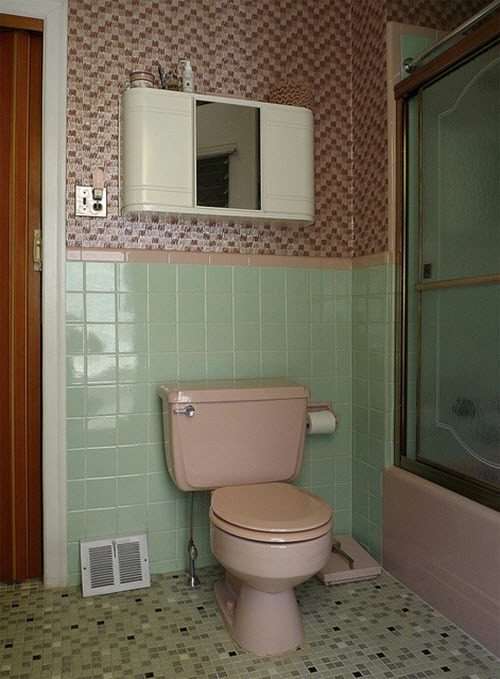 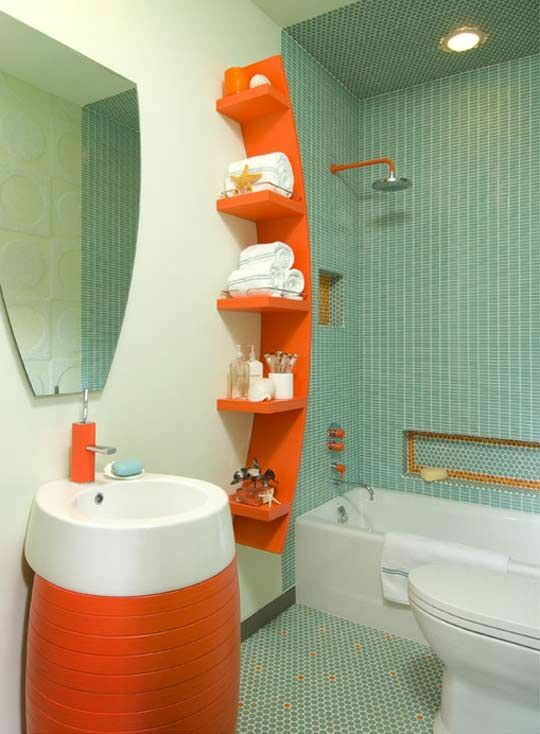 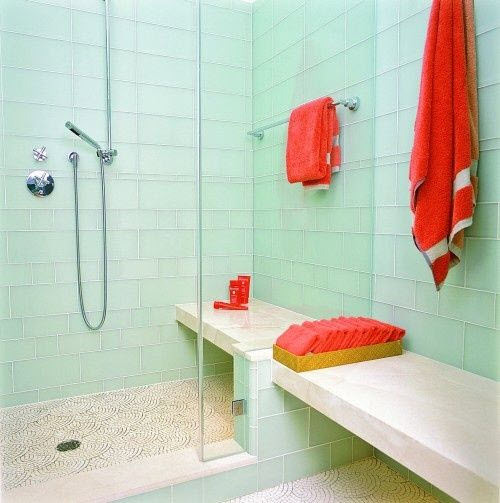 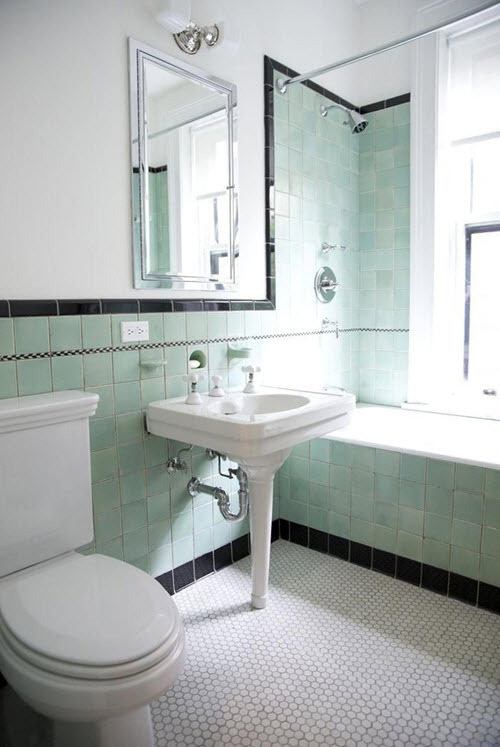 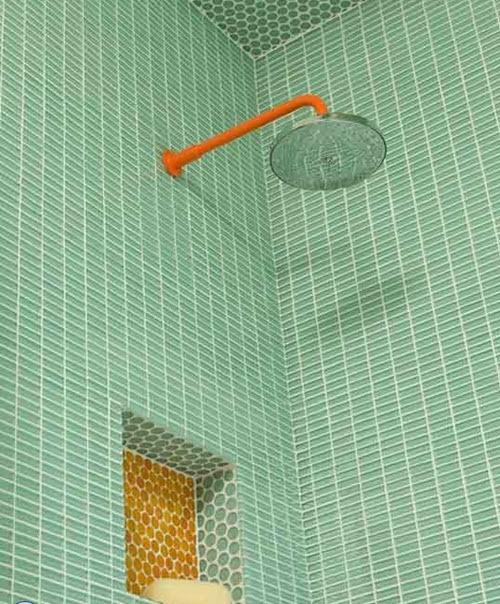 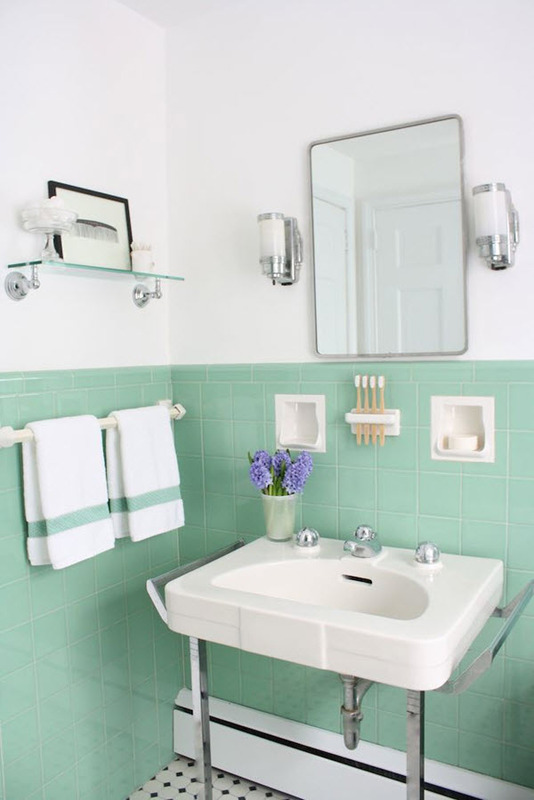 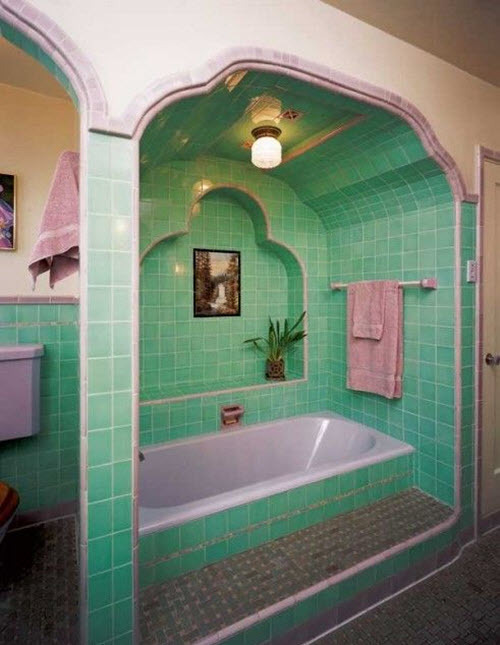 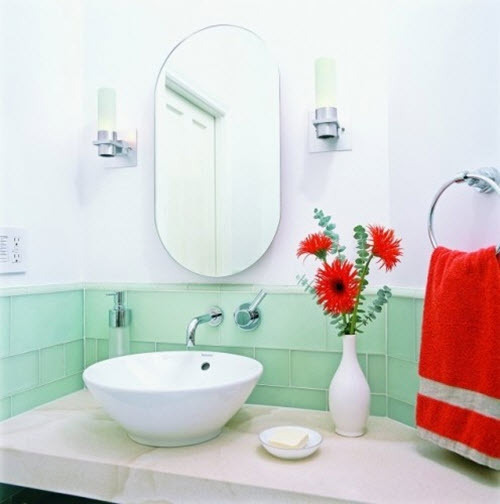 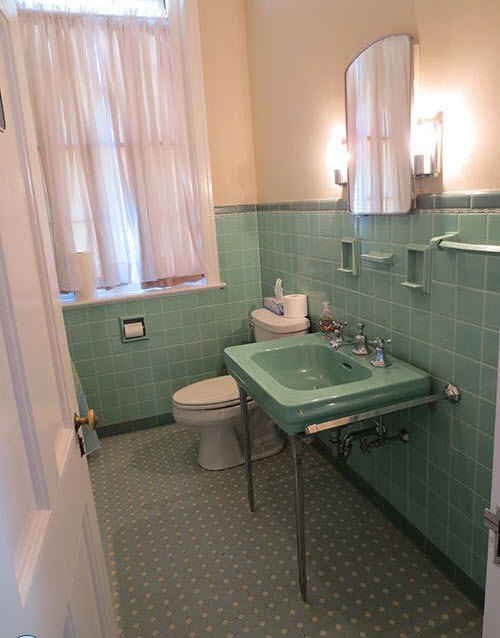 This is the color for those who want to have vintage bathroom or create a space inspired by 50s. 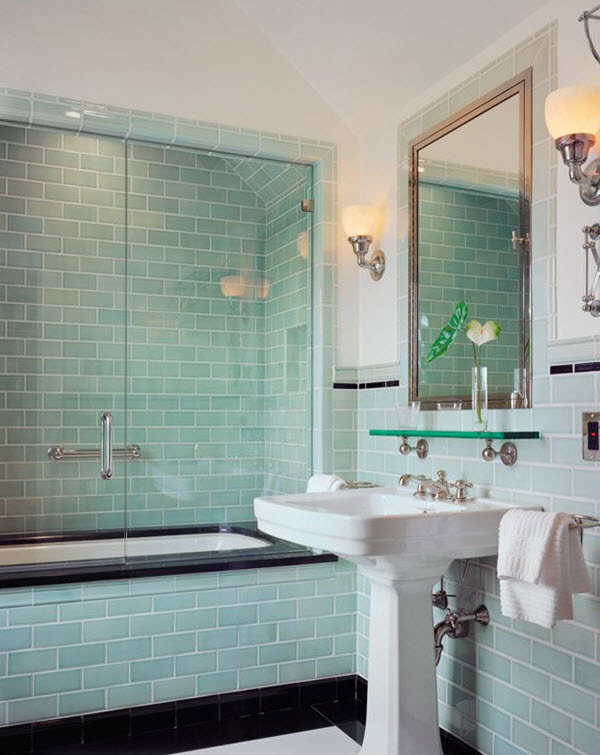 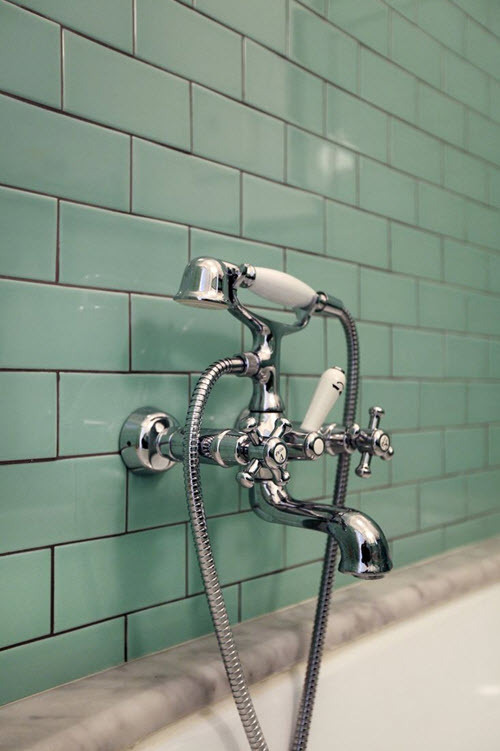 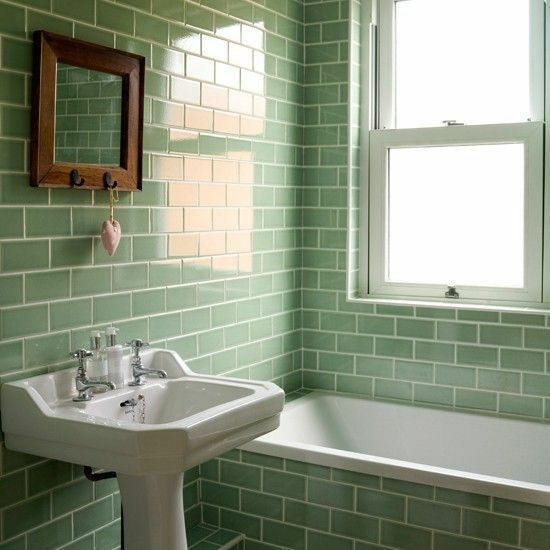 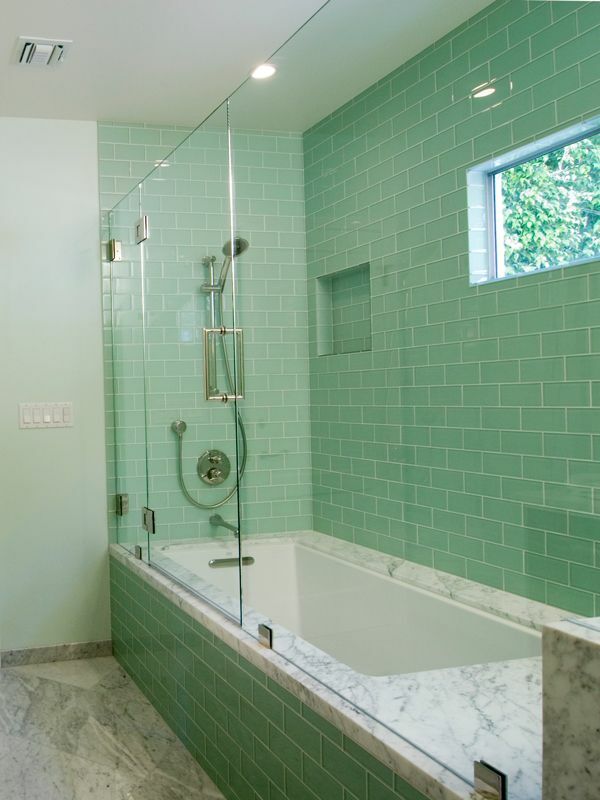 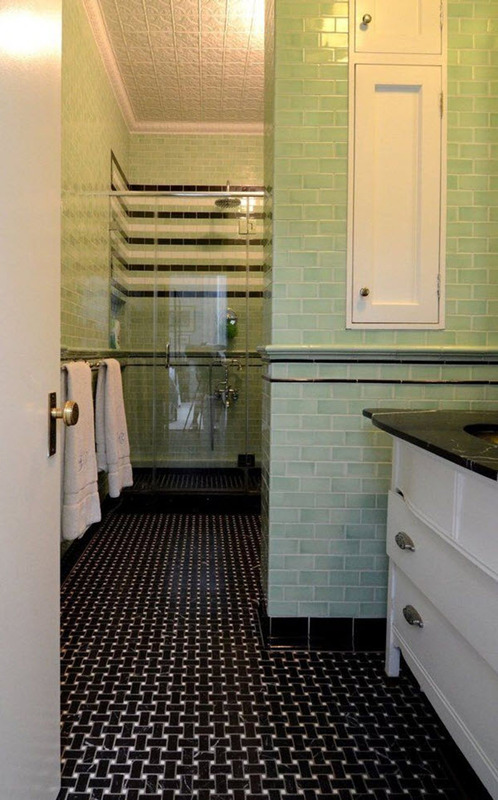 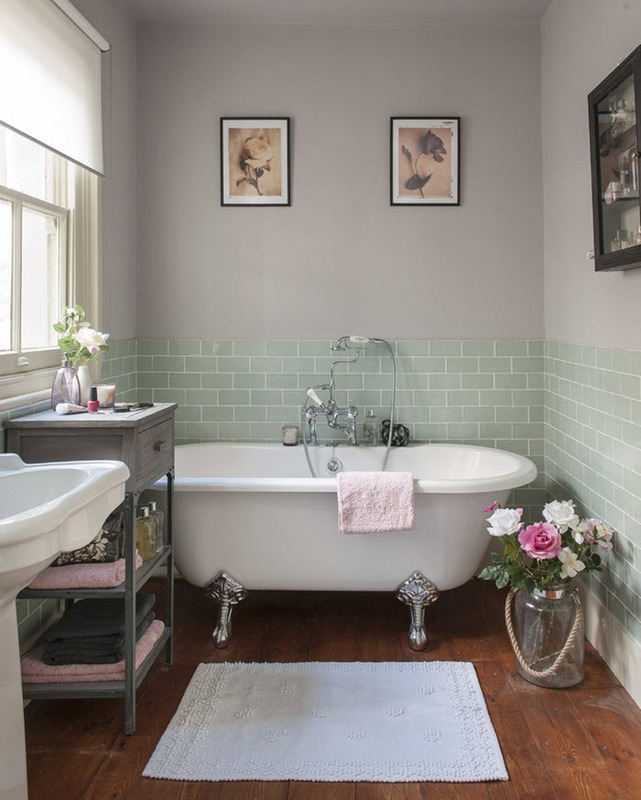 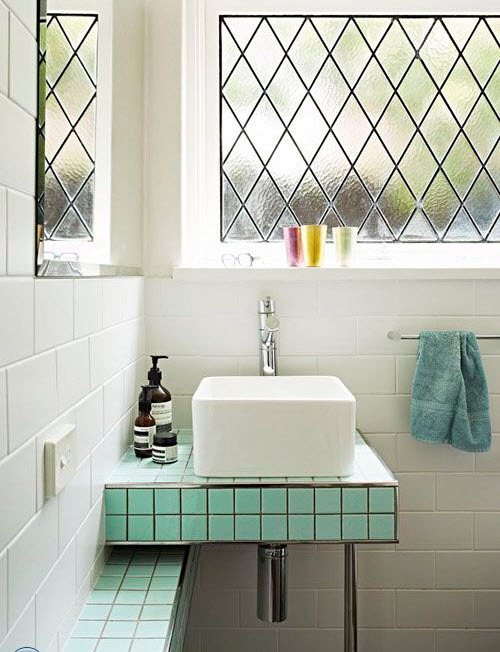 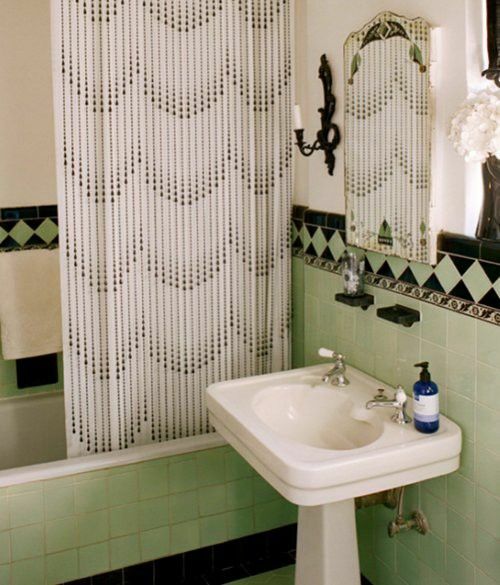 However mint green tile will look equally beautiful in bathrooms of other styles, like country, Provence or even contemporary. 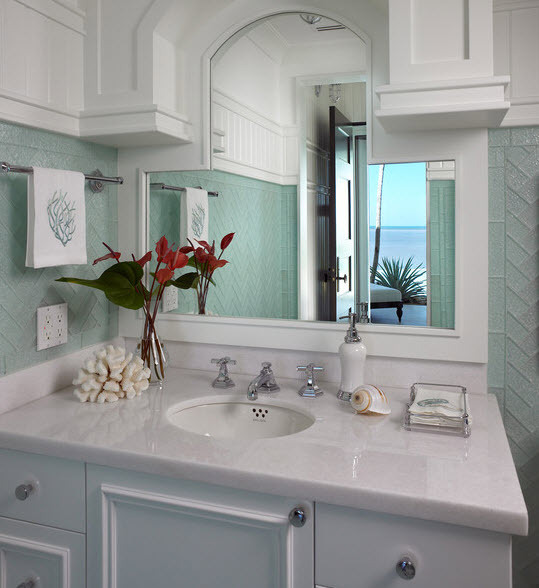 It is gentle, it is pastel-like, and it evokes positive feelings and lightens the whole space making it visually larger. 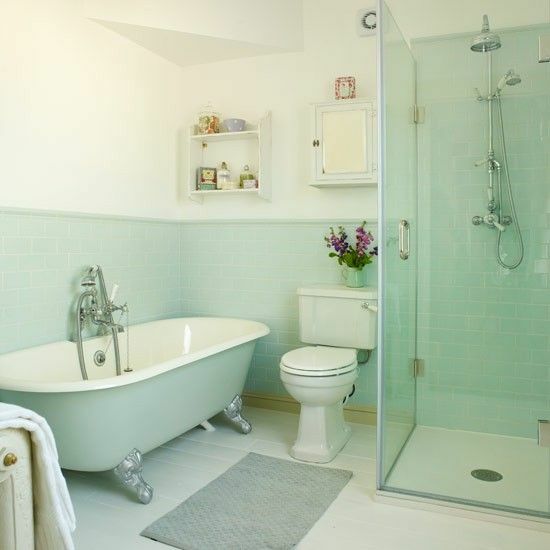 This kind of bathroom will give you a boost of positive energy every morning and help you relax in the evening surrounded by comfort and coziness. 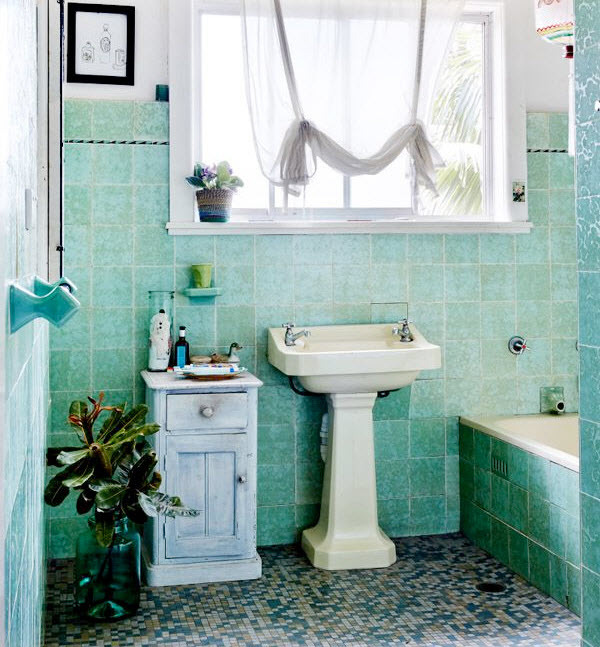 Look at these photo ideas below and fall in love with this wonderful shade of green.